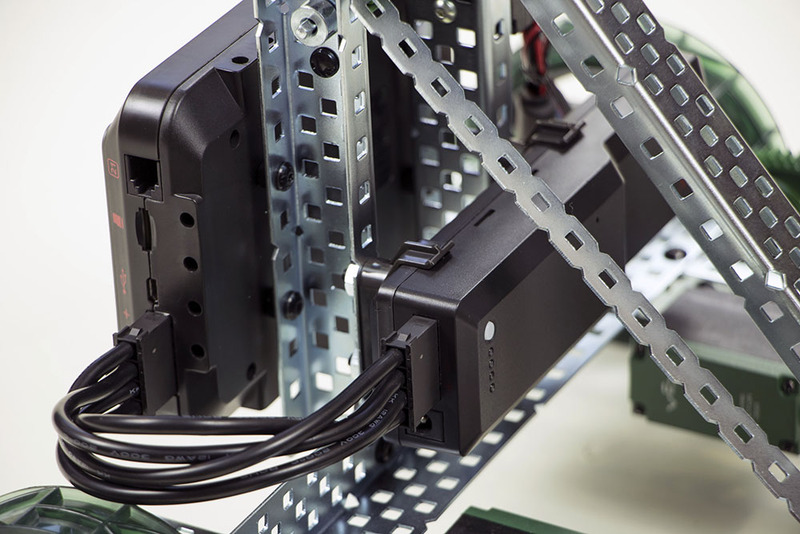 When you want to wire the battery, you will also need the V5 Robot Brain mounted to your robot. 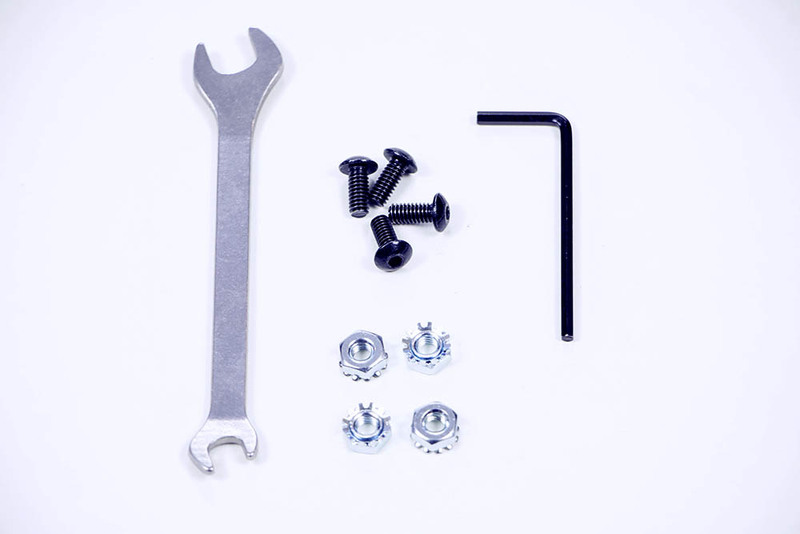 Use the wrench and hex key to remove the VEX EDR Battery Straps and the 7.2V Robot Battery NiMH from your robot before continuing. Mount the two V5 Battery Clips on the bottom of the inner wall structure for the Clawbot arm. Press the battery into the clips until you hear and feel it click into place. 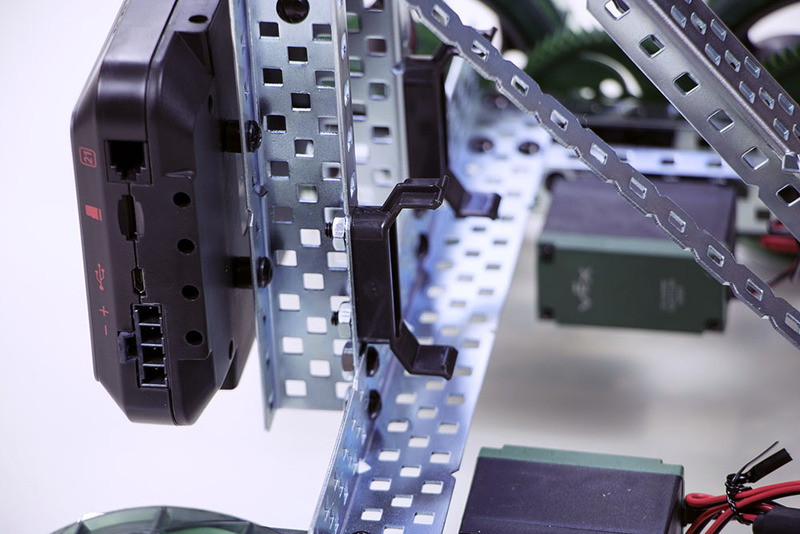 Wire the battery to the V5 Robot Brain using the battery cable. 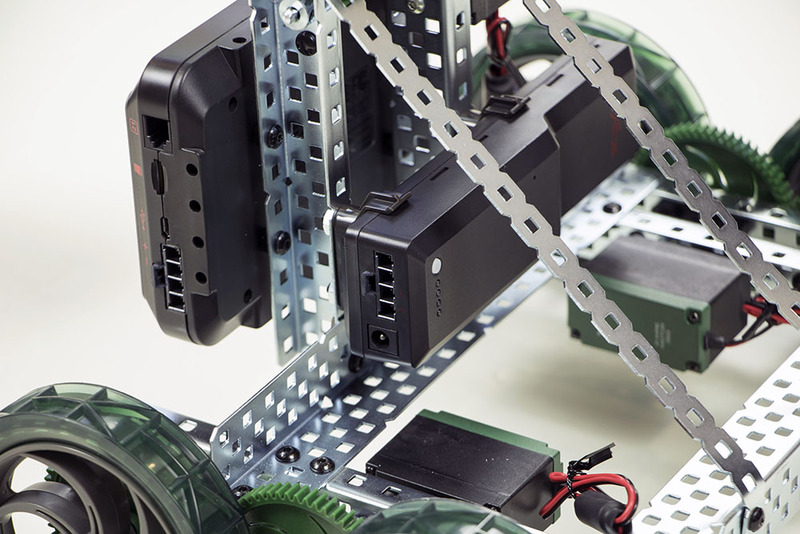 For more detailed instructions on mounting and wiring the battery, see the V5 Clawbot Build Instructions.